Imagine a world in which you can think but cannot speak. For many stroke survivors, like former football star Junior and landlord Barry, this nightmare is a reality. Inspired by the experience of his brother-in-law, filmmaker Richard Alwyn has made an intensely moving, personal film about language and its loss. 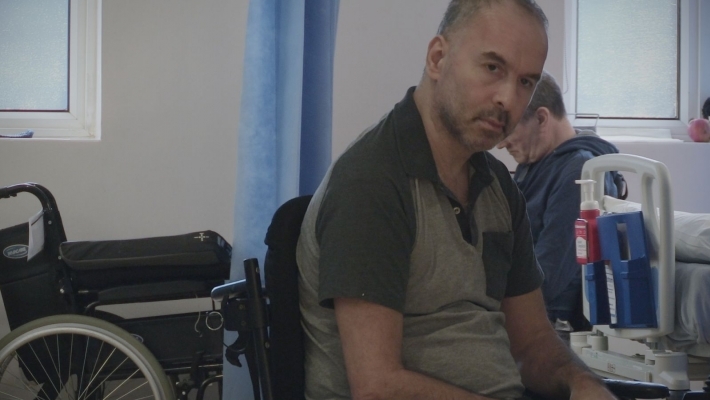 Alwyn’s brother-in-law, journalist Dennis Barker, had a stroke in 2011 which left him speaking a bizarre, fluent gibberish – just one manifestation of the condition ‘aphasia’ in which people lose or have a severely impaired ability to use language. SPEECHLESS raises questions that straddle philosophy and science. Can we understand the world if we don’t have language to name and describe it? Can we think without language? How much is our identity wrapped up in language? These questions are at the heart of conversations that Alwyn has with clinicians and therapists working to get Barry and Junior back into the world. SPEECHLESS is fascinating and moving, upsetting and uplifting in its depiction of the isolating and estranging condition, aphasia.